Thank you, Stephen. They are sort of sweet little wing sweeps, aren’t they? There were lots of them where the robins spend time at the open creek – I found them difficult to photograph, though. Yes, we have had an owl ‘ghost’ on our window, fortunately it was okay! 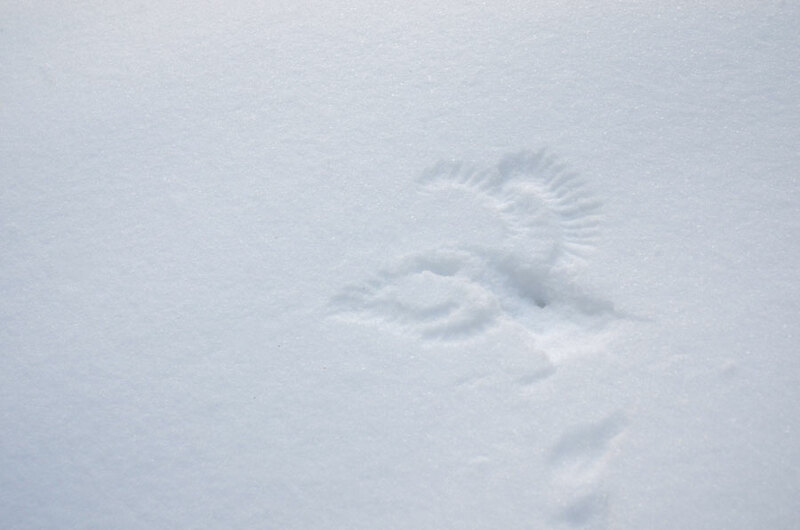 I can’t tell by the size, but that almost looks like a bird of prey landing to catch something in the snow . . .
. . . but if it’s small, probably not. Besides, if you see robins pounce on snow, then you know for sure. Are they just misjudging the height, or are they grabbing something? They are robin-sized markings, but I understand why you would suggest a bird of prey. I often see the robins perched on the ground and I suspect that because the snow is so deep and soft that they sink into it a bit and when they take off (or land) their wings brush the snow. Glad to read this—I was wondering how these came to be! LIttle perfections of presence and impermanence . So very lovely. I like the delicate nature of the wing forms. Thank you, Adrian. Cool. Never saw that before now. That is amazing, love it!! I thought they were cool markings too. Thanks for your comment! That is such a beautiful picture…so perfect, and something I have never imagined before. A bit of snow magic, I guess. Thanks very much, Randall. um, i am in love. that first photo karen… seriously stunning!!!! It was a lovely find, all these miniature snow angels. I’m glad you like them, Jessica, thank you! 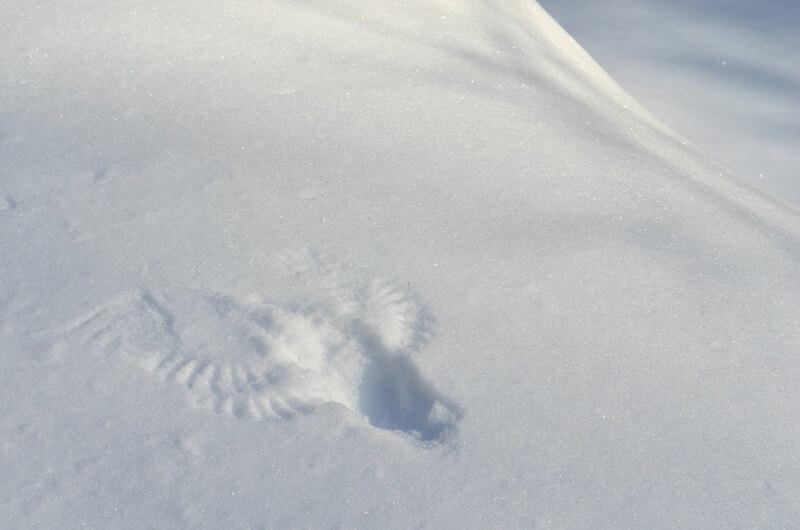 I have seen more snow angels from bigger birds, catching mouse or something. This is a good series again, Karen. Yes, I’ve seen that too, Bente. Thanks very much! So beautiful! Little bird angels. Love these! Wow Karen you’ve done it again. How you always notice and capture such beauty is beyond me, you’re so talented. Awesome these “shadows and snow angels!! I’love de birds. Love the shadow play and impressions. You’re a photo-taking goddess! Interesting. I’ve never seen these kind of snow angels before. Spectacular documentary art-film/nature hybrid presentation. And lovely images. The snow angel is so beautiful, wow ! Wow! Love the snow angels! At first I thought there was a little fallen body in the snow, then realised the marks are concave not convex. What beautiful marks they make, the air must be so still to let them stay, making such perfect silhouettes. The middle photo is lovely too, those long cool shadows. 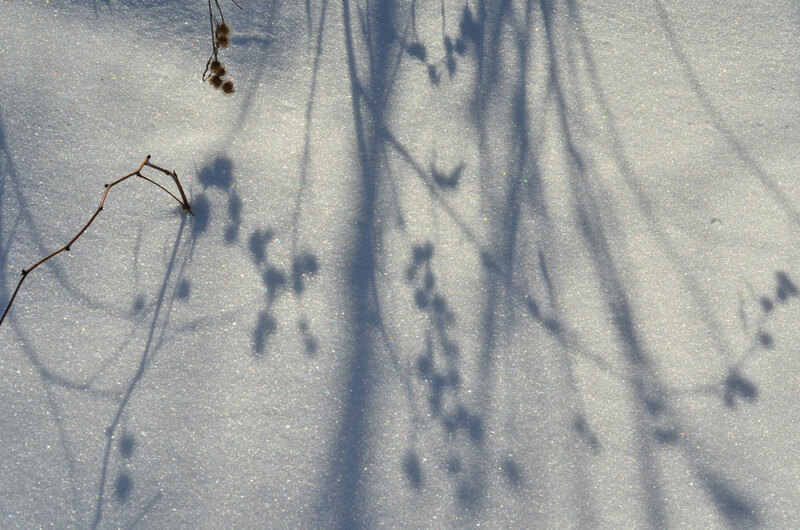 Beautiful – like first attemts at swimming in snow. This is the kind of thing one feels privileged to have seen. Lovely. Such a fun find. I have never seen anything like that. The delicate wing prints are beautiful and it was a treat to see the robbins. I can’t remember the last time a robbin has crossed my path. Beautiful, Karen. Wow, natures beauty! I’ve actually never seen that before. Thanks for sharing! Remarkable and beautiful, Karen. Hope to see these snow angels myself one day and photograph them. Fleeting impressions of the birds… The title is very appropriate… Beautiful.